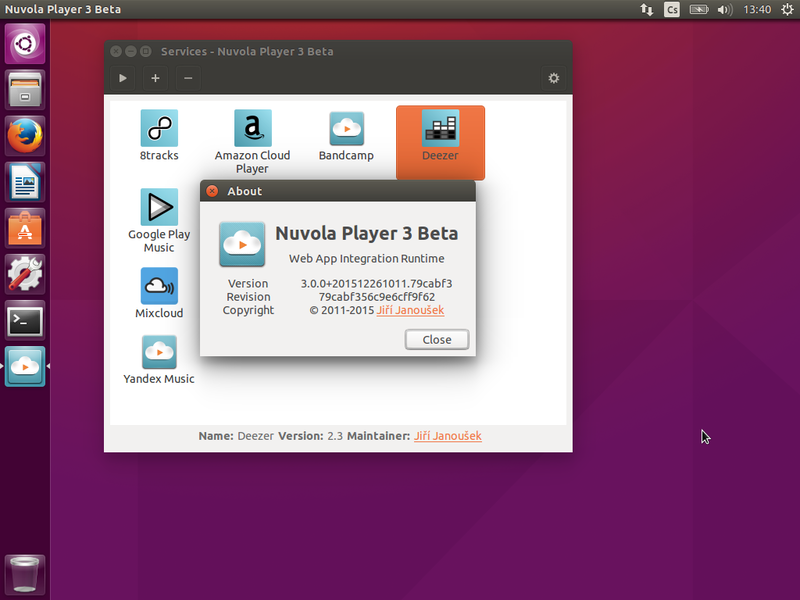 Let's launch Nuvola Player from Unity Dash. 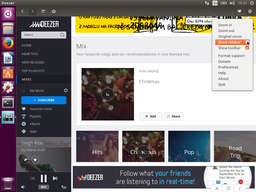 As you can see, you have all supported streaming services in one place, no need to look for them in your browser's bookmarks or to remember and type in address of a service. 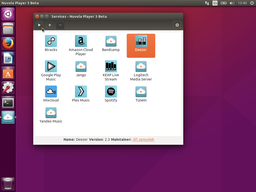 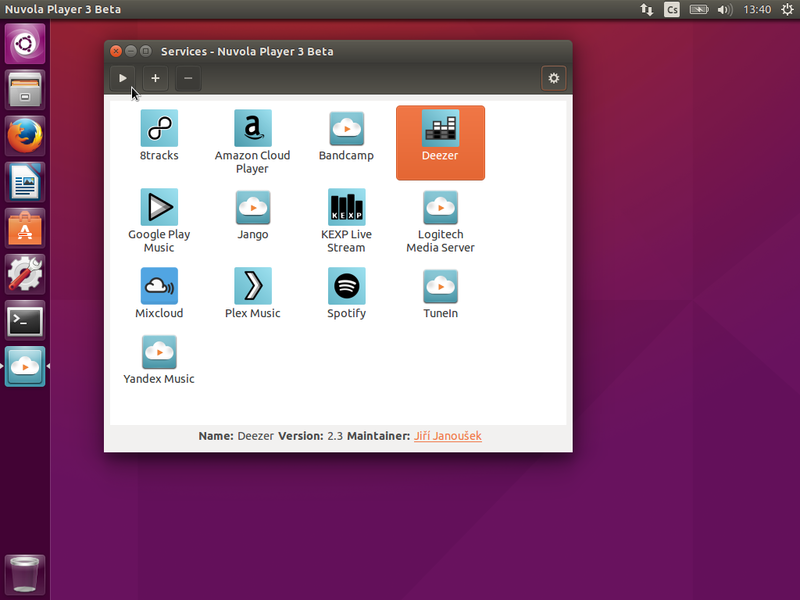 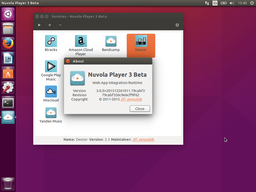 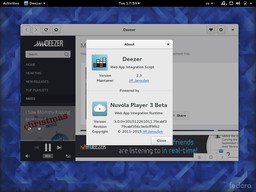 Nuvola Player automatically creates an application launcher when a particular streaming service is launched. It also allows you to create all launchers at once (Gear Menu → Create application launchers) or to remove unnecessary launchers (Gear Menu → Remove application launchers). However, the launcher of a currently running streaming service cannot be removed. 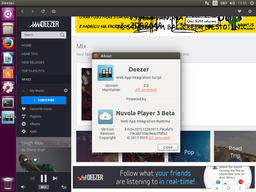 Nuvola Player keeps launchers updated every time a particular streaming service is launched. 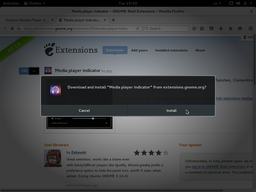 If you want to modify the launchers on your own and prevent Nuvola Player from overwriting your changes, mark the launcher as read-only in a file browser or from a terminal. 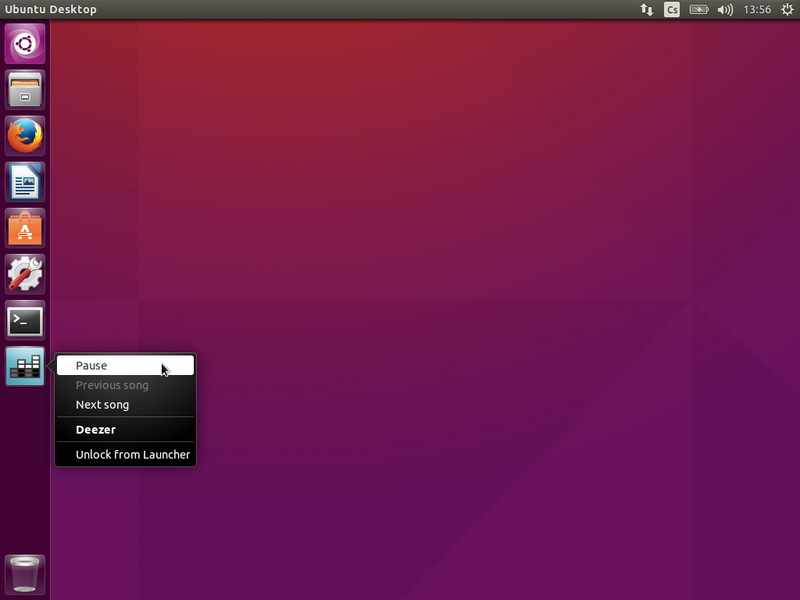 The launchers are located in a directory ~/.local/share/applications where ~ represents your home directory. 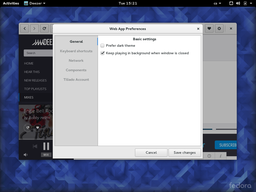 Nuvola Player neatly integrates with Unity Dash. 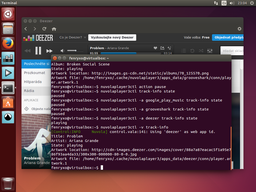 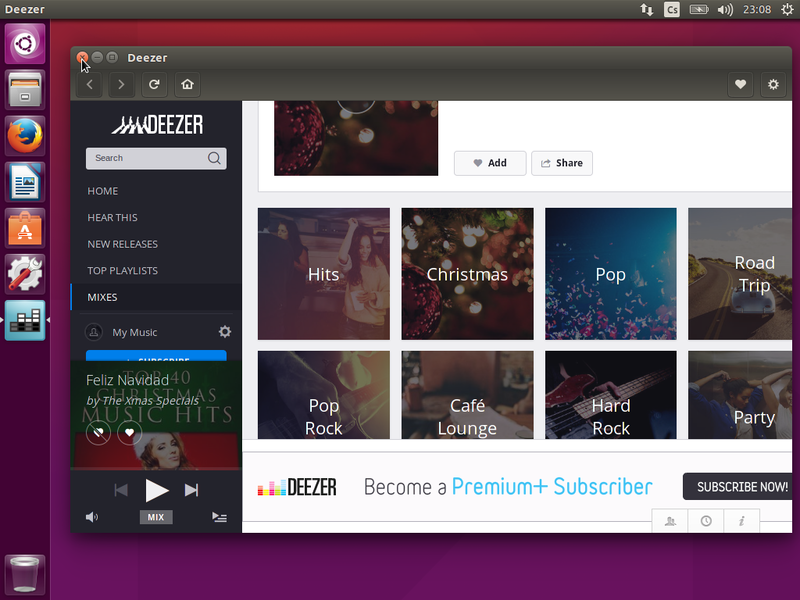 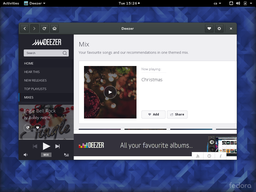 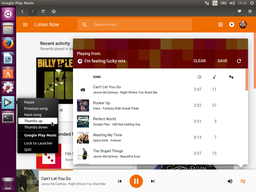 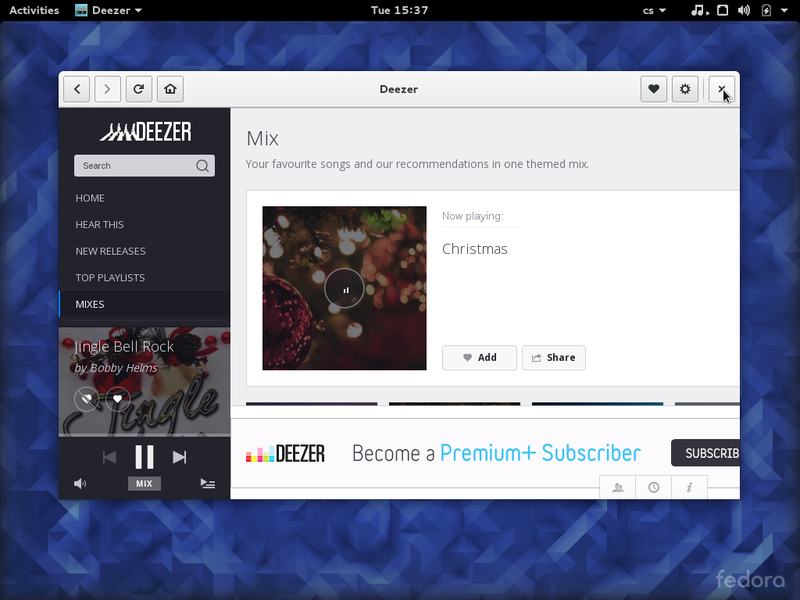 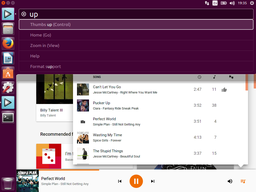 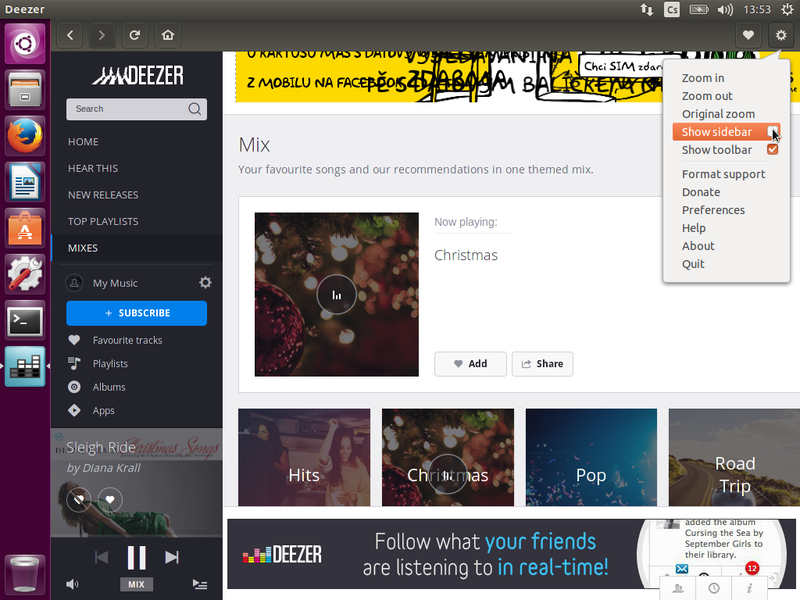 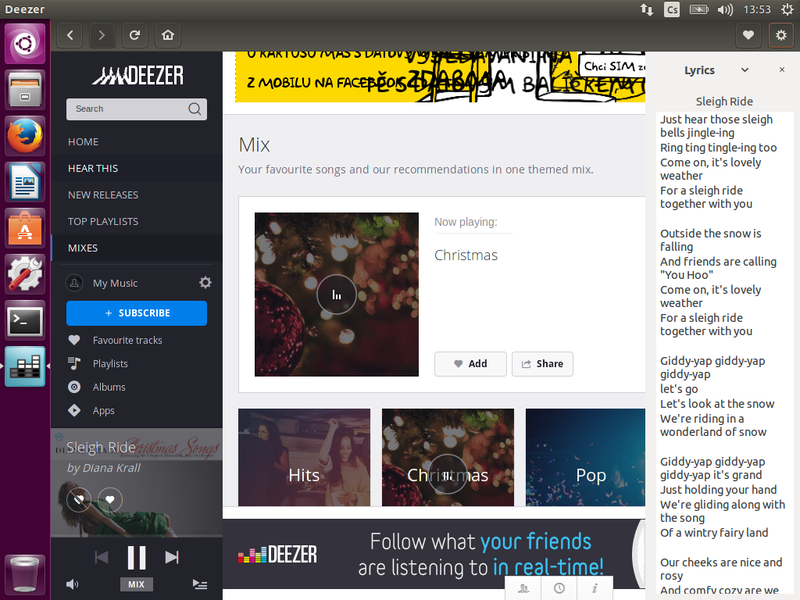 Once a particular music streaming service is launched for the first time, a desktop launcher is created in the background. You can then get to your favorite music faster, just start typing its name in Unity Dash screen. 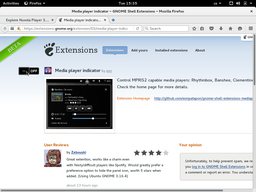 Can do this your web browser? 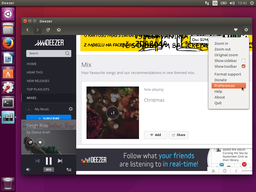 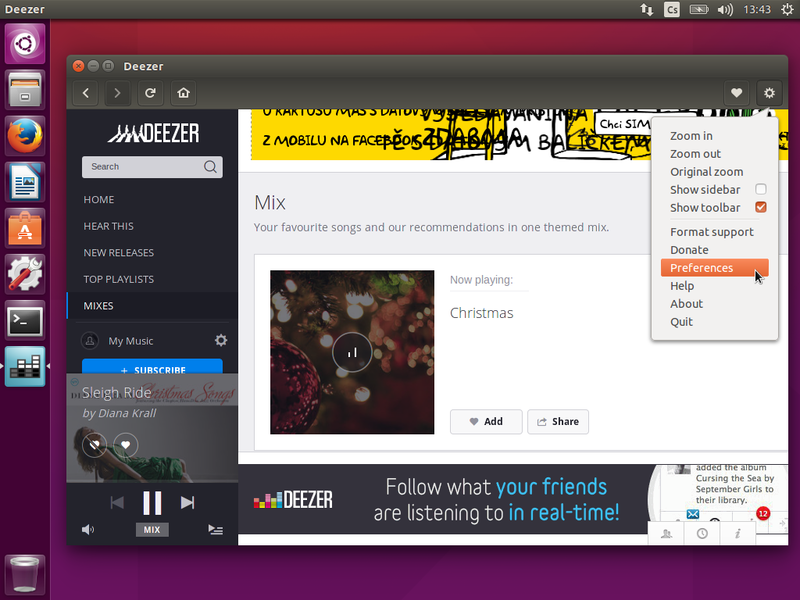 For even faster access to your music, you can pin our favorite music streaming services to Unity Launcher. One click to launch it again! Nuvola Player integrates with Unity Launcher quick list and adds playback actions. 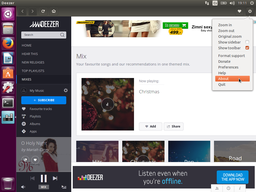 In addition, some screaming services provide other actions like star rating. Nuvola Player allows you to change keyboard shortcuts or to add your own. 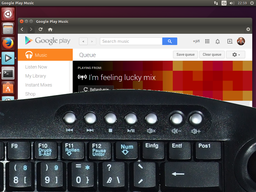 Another killer feature is ability to handle special multimedia keys. Unity's unique feature, Head-up display, is also supported. 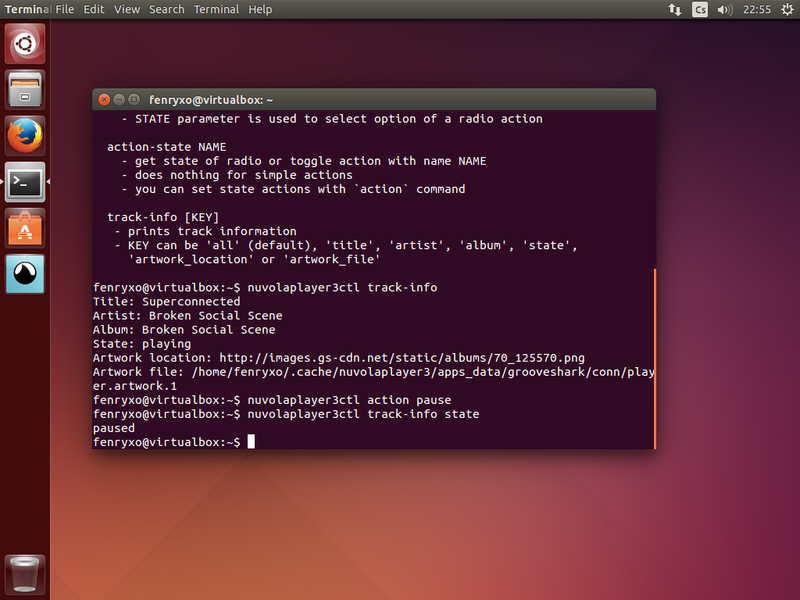 Just press Alt key and then start typing an action. 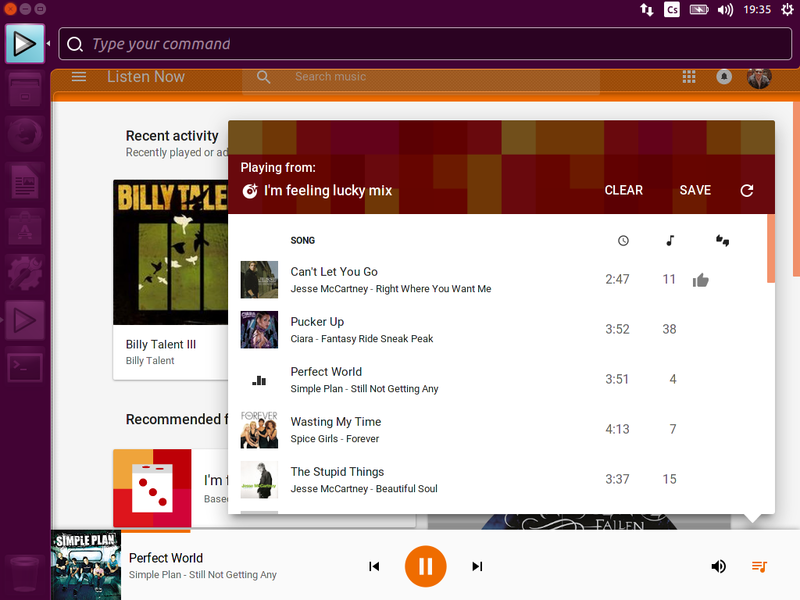 With Nuvola Player, you will never accidentally close your web browser while music is playing. If you close Nuvola Player window, it keeps playing in background and you will get notifications on track changes. 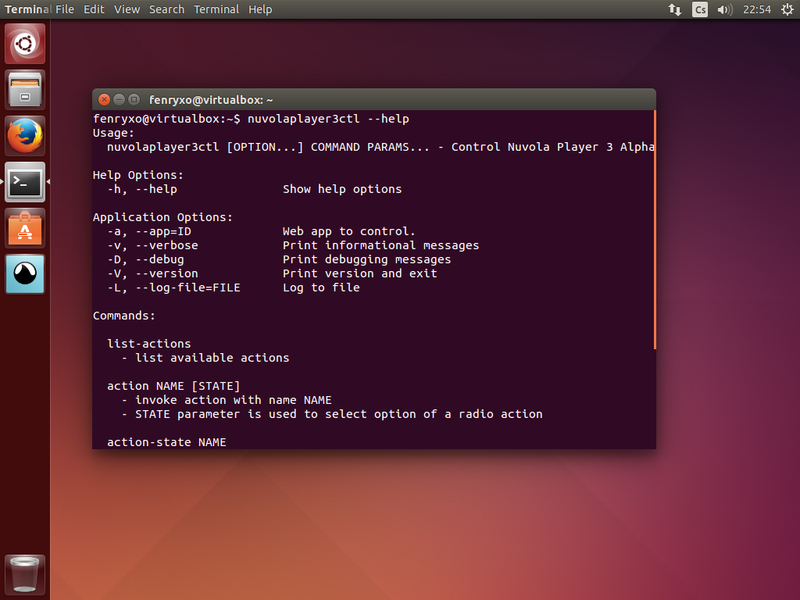 Simple and extremely useful. I hope you are not surprised that Nuvola Player also integrates with Unity sound indicator. 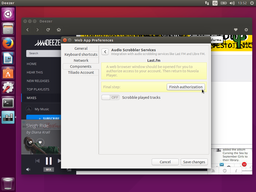 You can control playback or show the main window if hidden. To enable, disable or configure other built-in features, see Common Features section bellow. 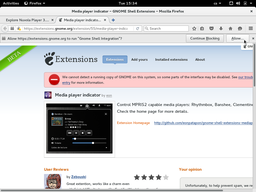 Let's launch Nuvola Player from GNOME Activities screen. As you can see, you have all supported streaming services in one place, no need to look for them in your browser's bookmarks or to remember and type in address of a service. 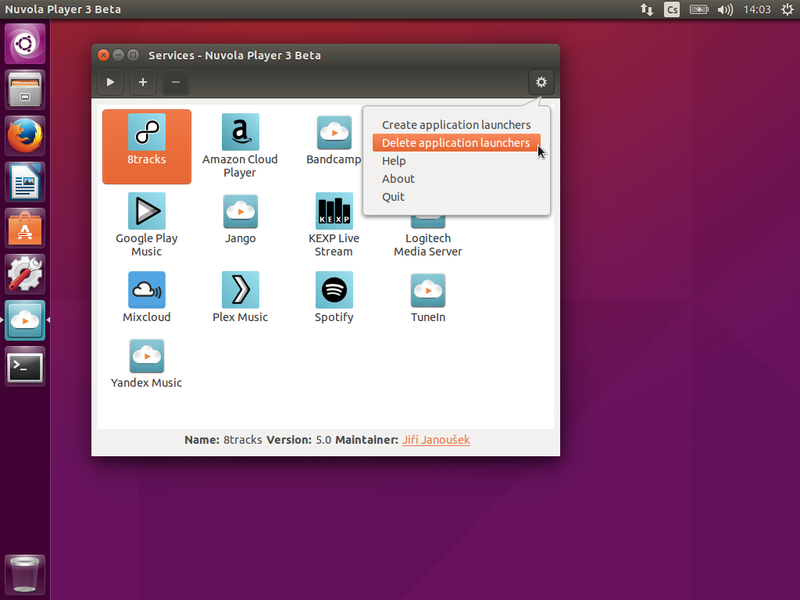 Nuvola Player automatically creates an application launcher when a particular streaming service is launched. 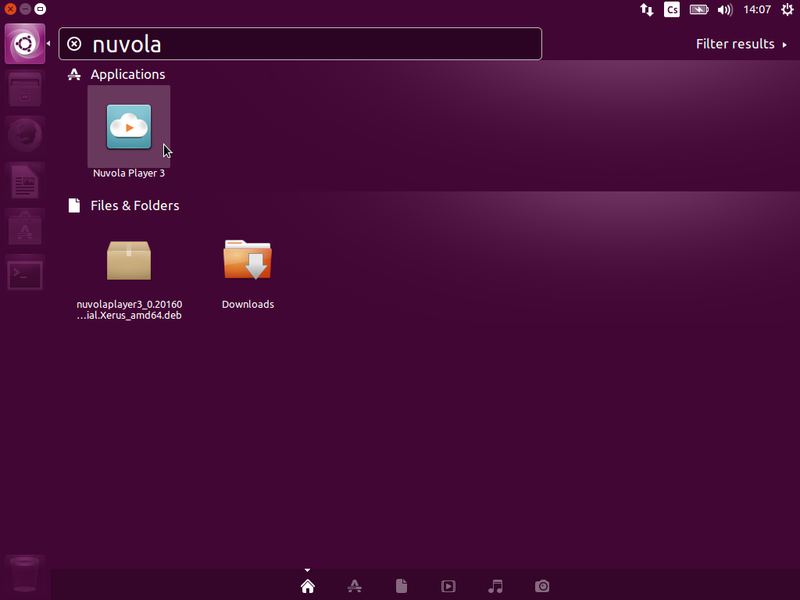 It also allows you to create all launchers at once (App Menu → Create application launchers) or to remove unnecessary launchers (App Menu → Remove application launchers). 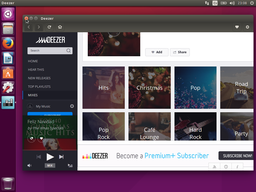 However, the launcher of a currently running streaming service cannot be removed. 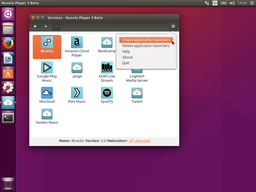 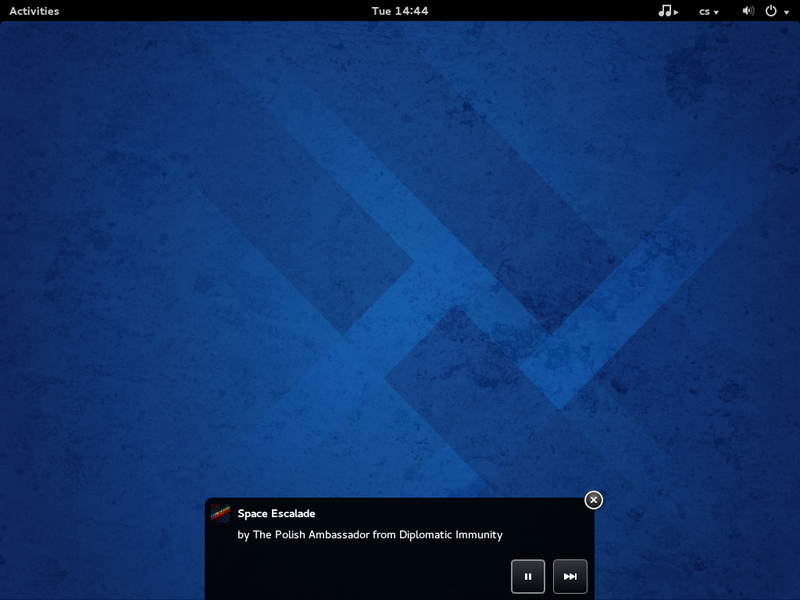 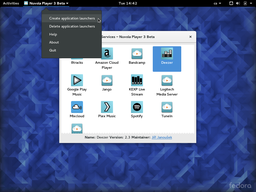 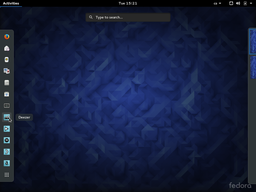 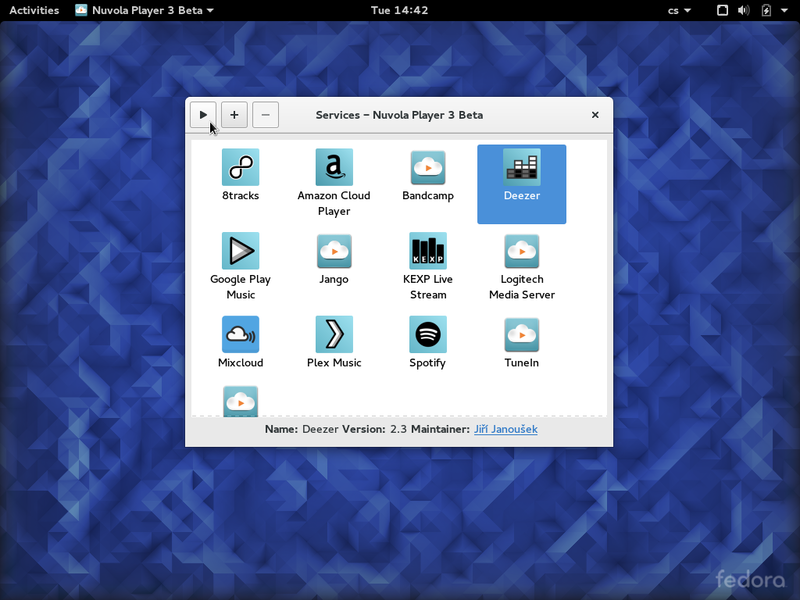 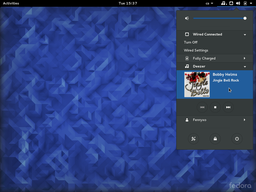 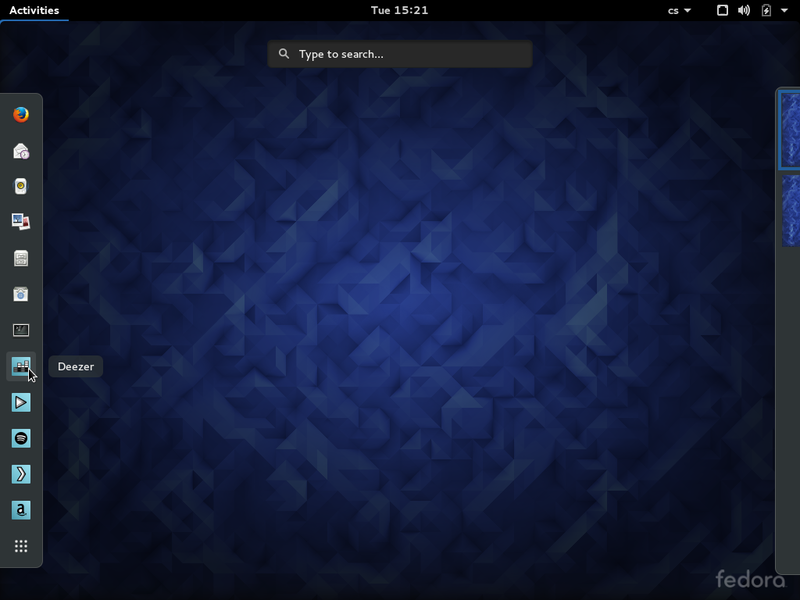 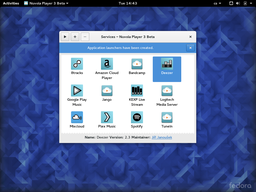 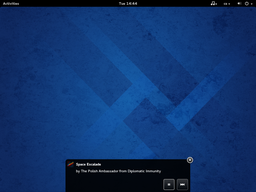 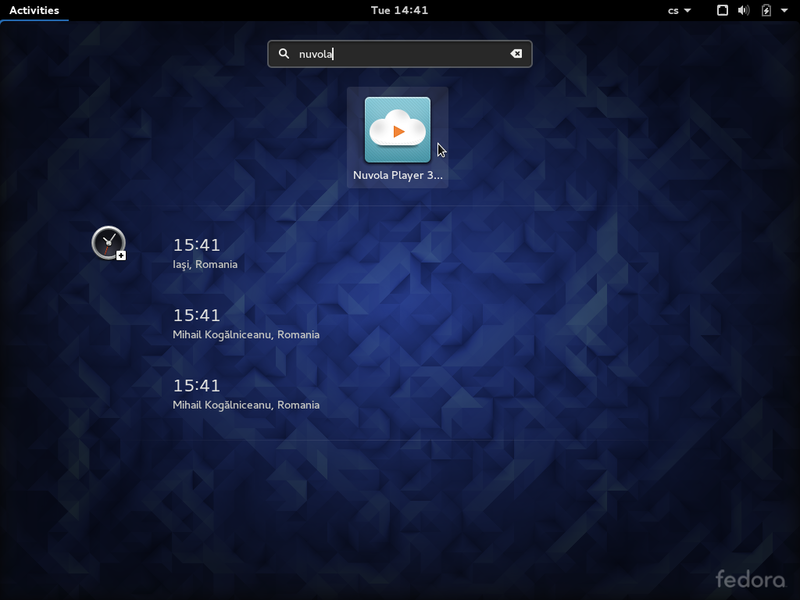 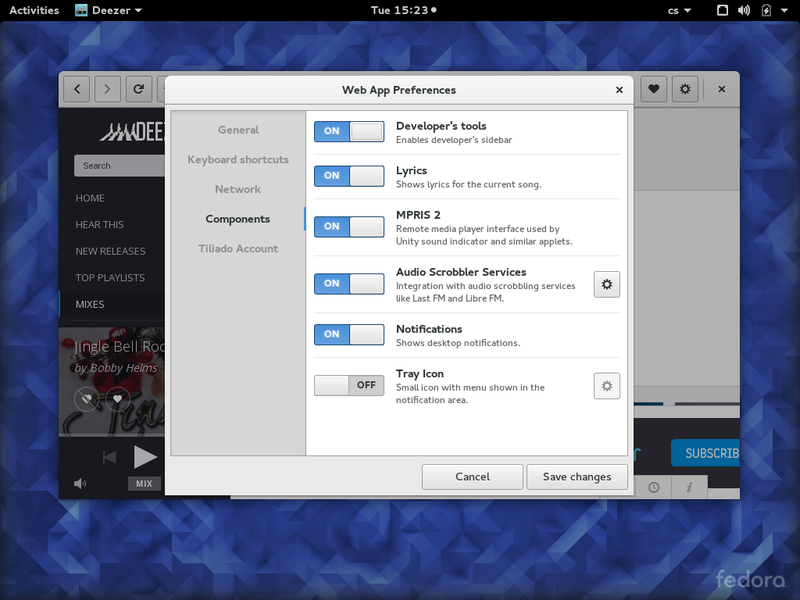 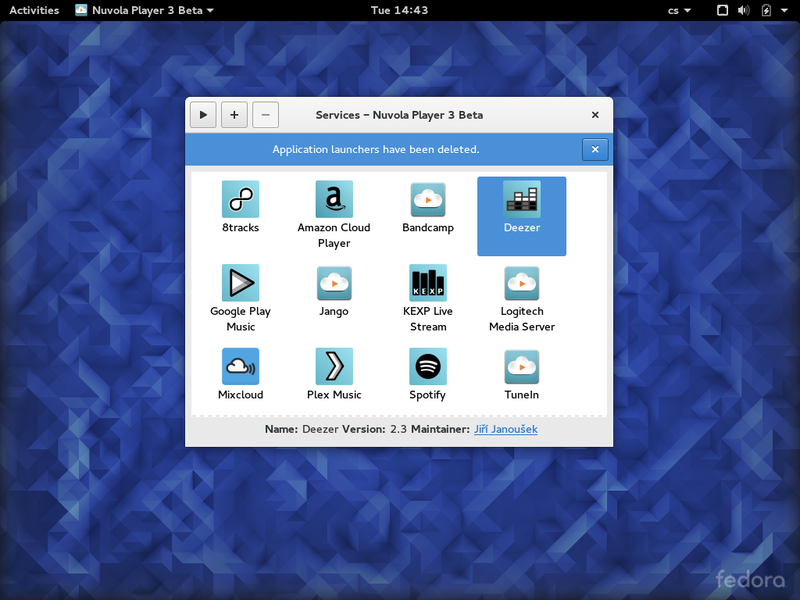 Nuvola Player neatly integrates with list of applications in GNOME Activities screen. 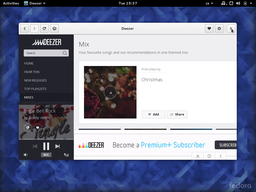 Once a particular music streaming service is launched for the first time, a desktop launcher is created in the background. 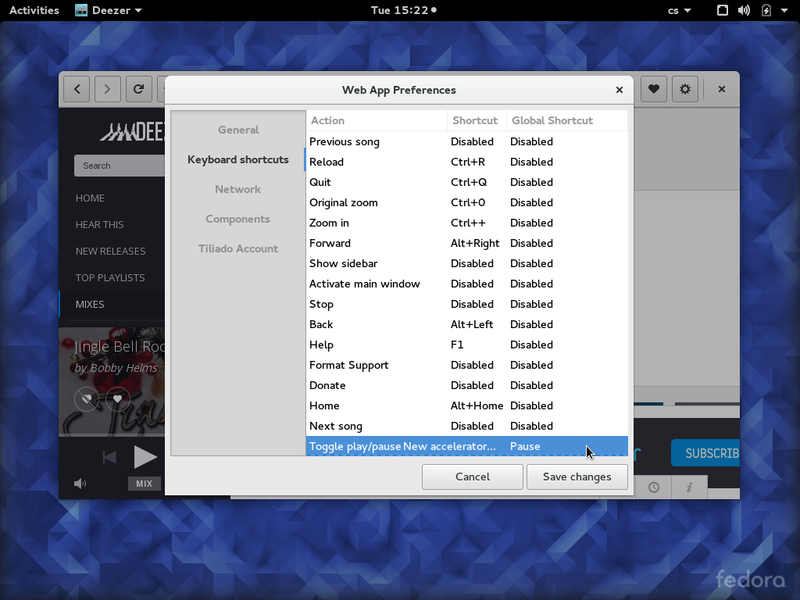 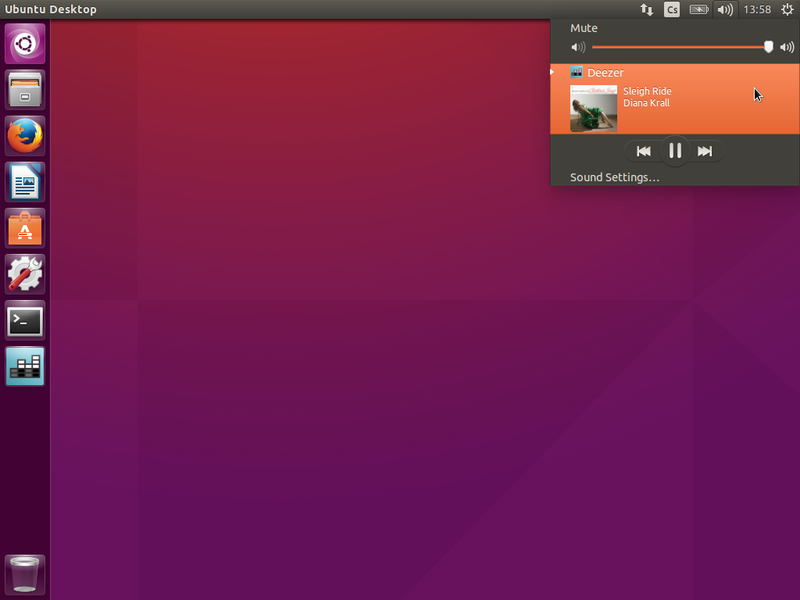 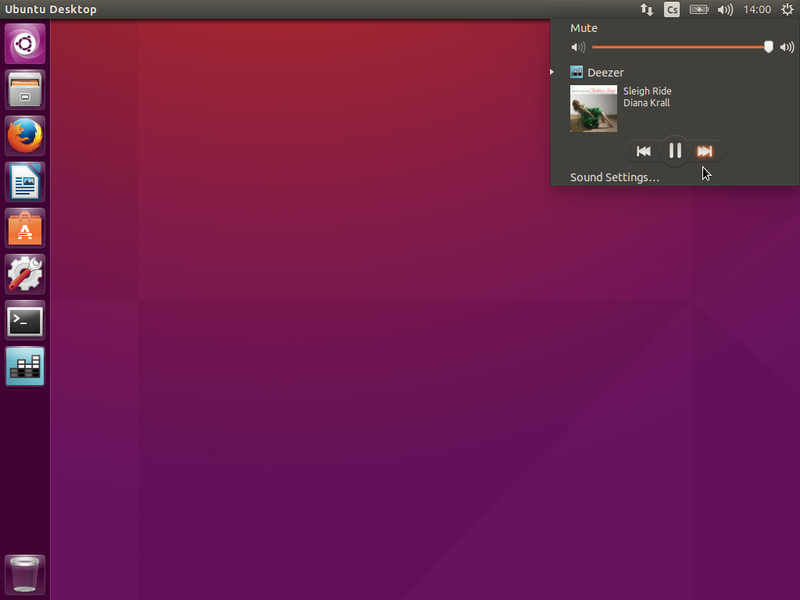 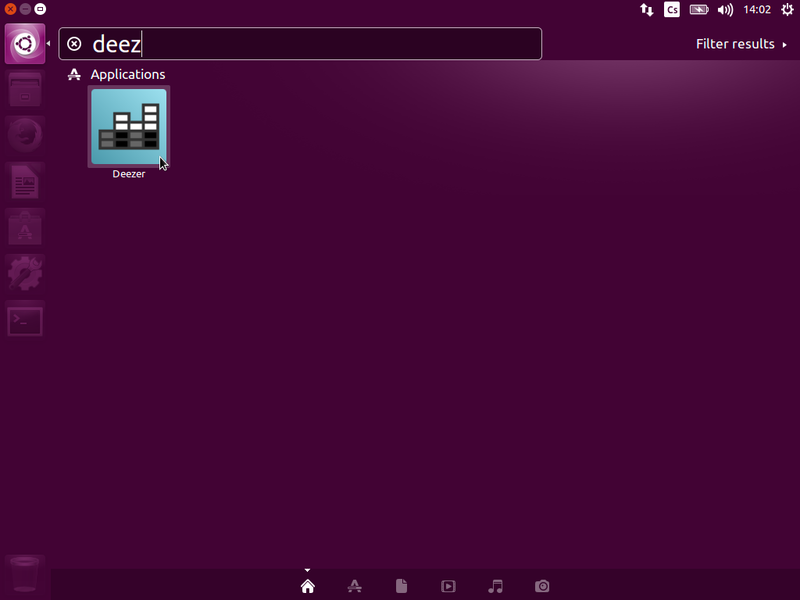 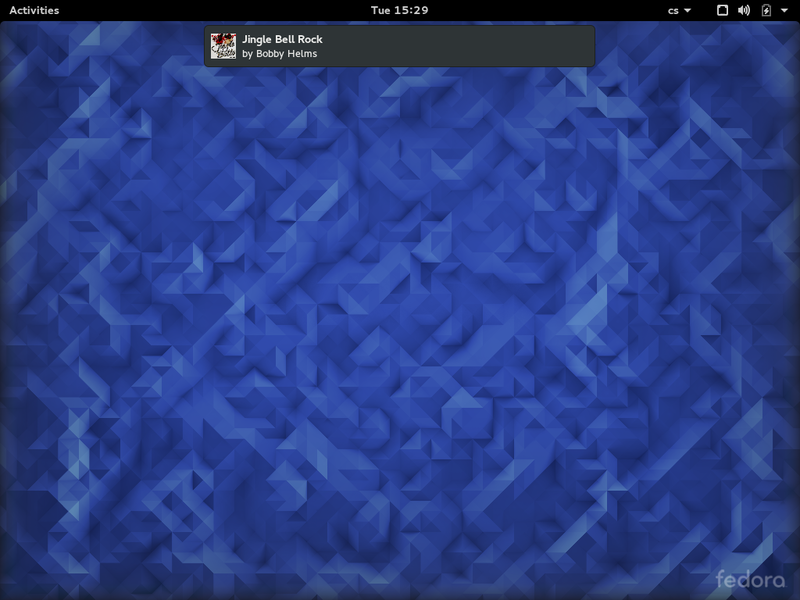 You can then get to your favorite music faster, just start typing its name in GNOME Activities screen. 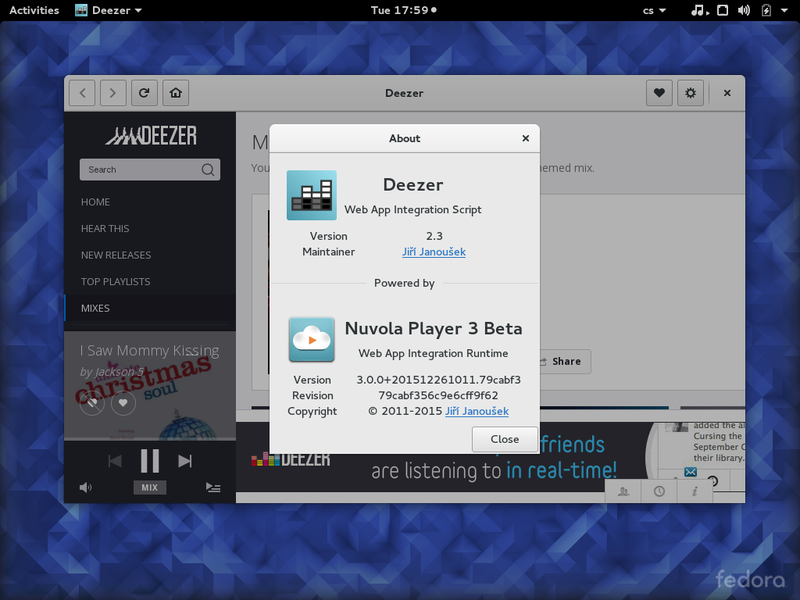 Can do this your web browser? 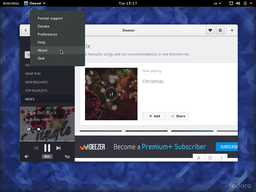 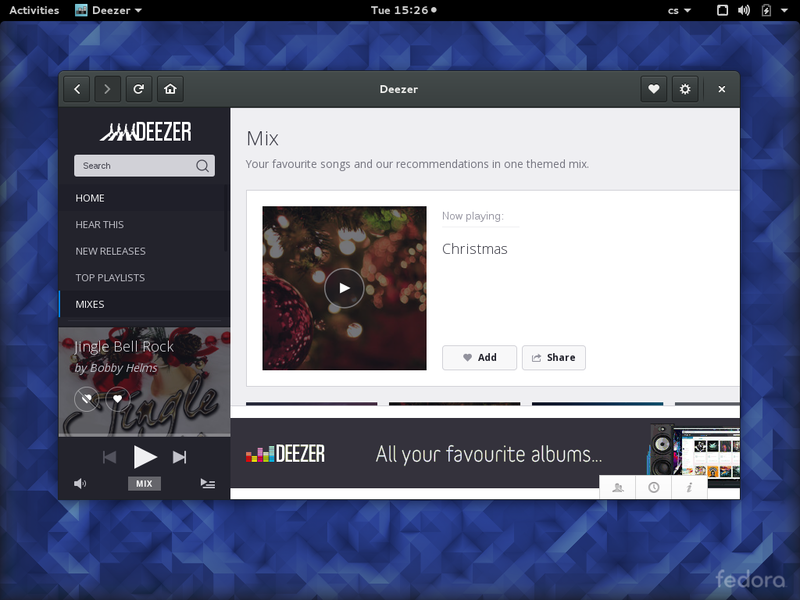 For even faster access to your music, you can add our favourite music streaming services to dock with favourite applications in GNOME Activities screen. 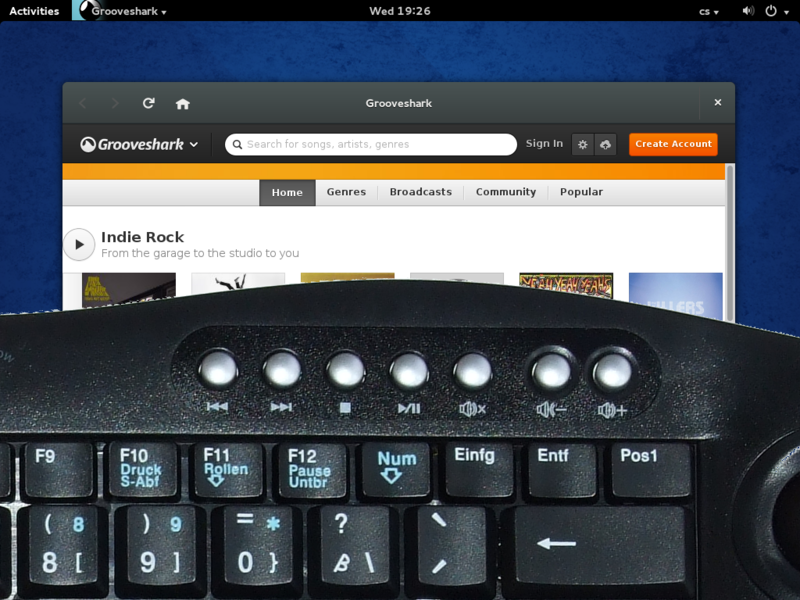 One click to launch it again! I hope you are not surprised that Nuvola Player also supports rich notifications with playback actions. 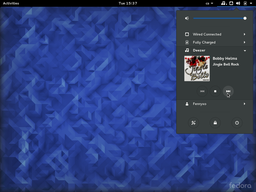 You can than control playback even from a lock screen. 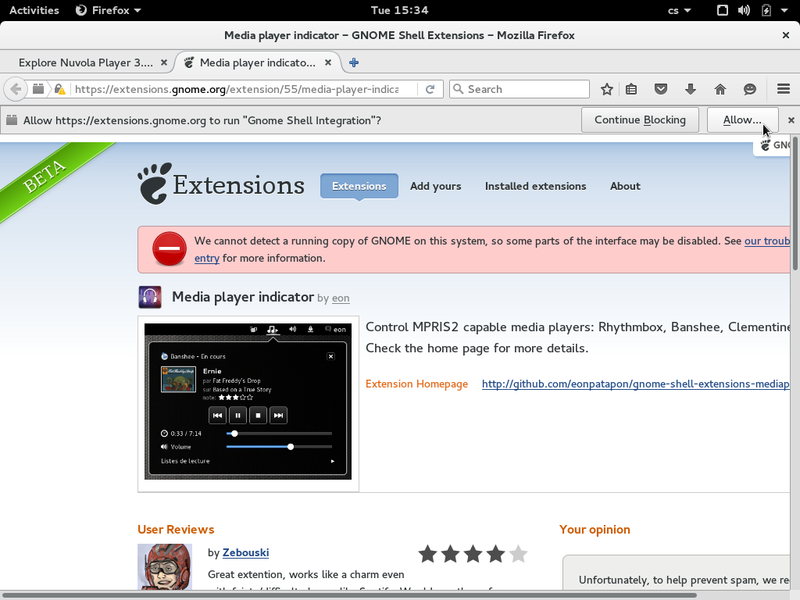 Note that rich notifications are no longer supported in GNOME 3.18. 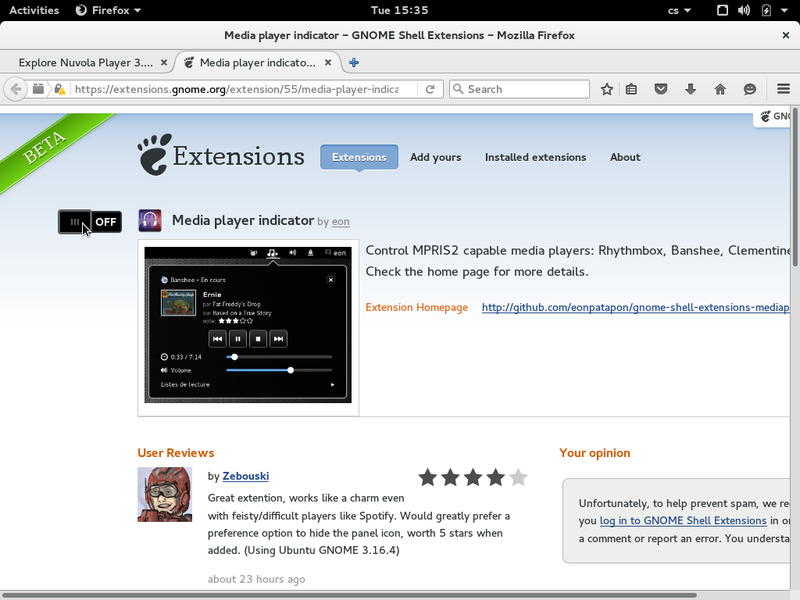 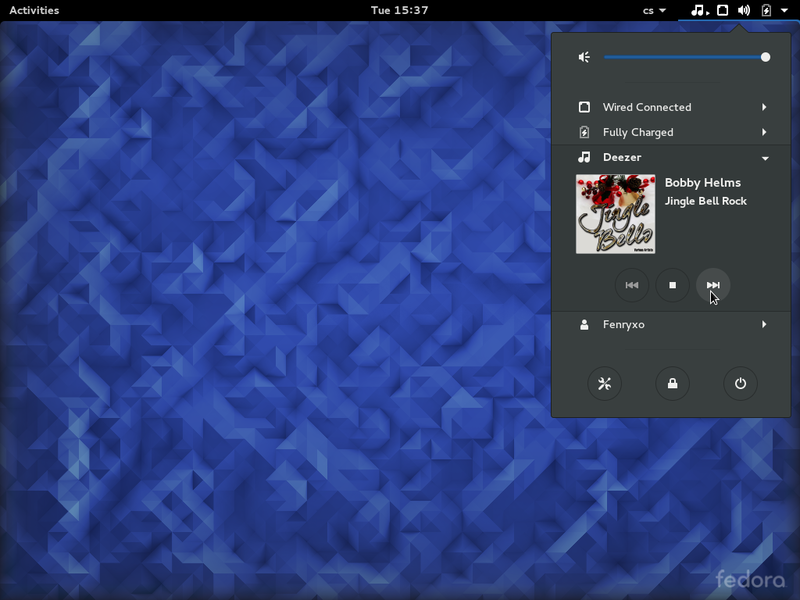 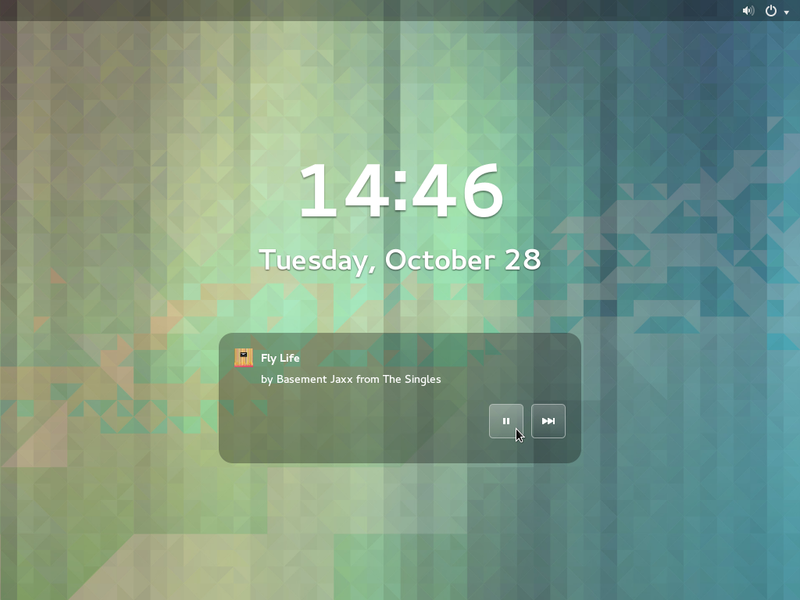 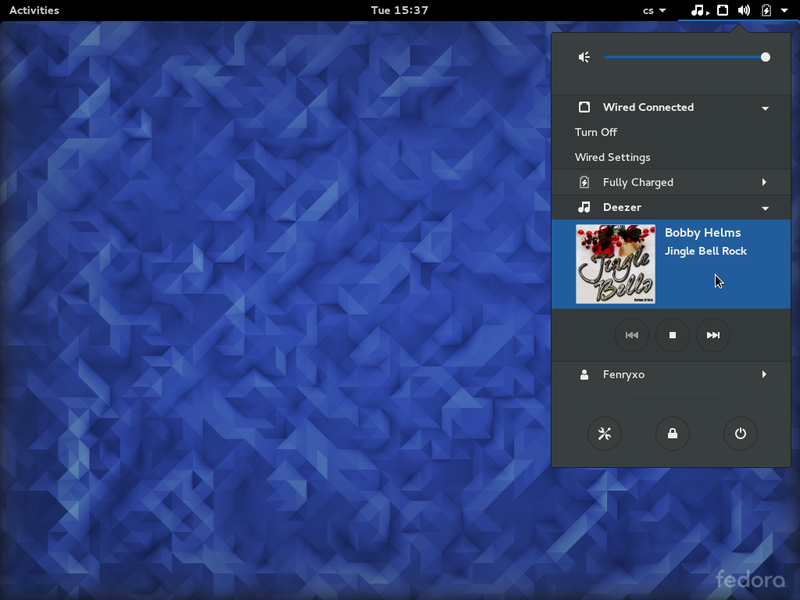 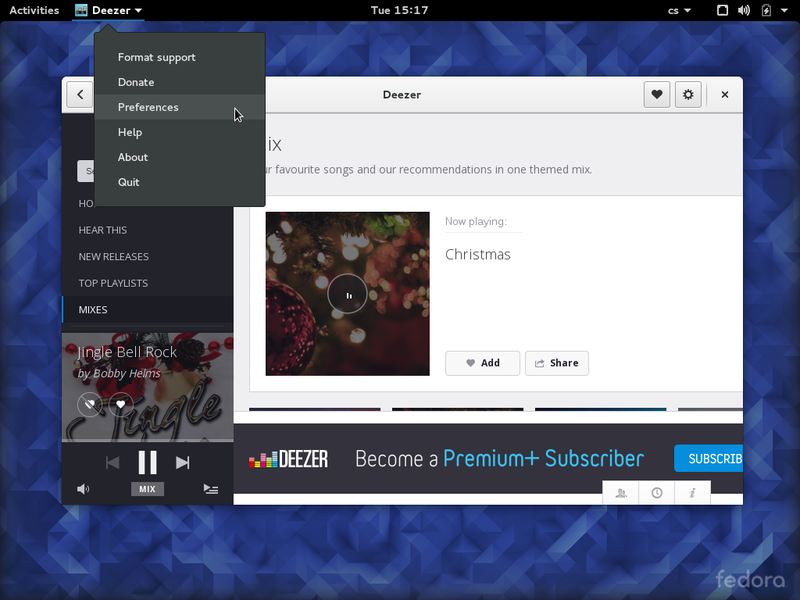 Nuvola Player integrates with Media Player Indicator GNOME Shell extension. 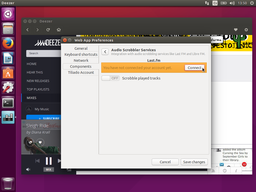 You can control playback or show the main window if hidden. Nuvola Player allows you to set a dark theme. Some streaming services look better that way. 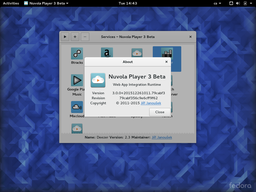 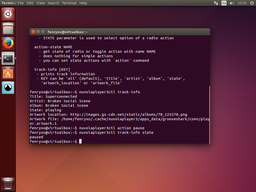 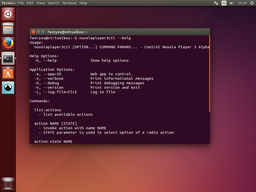 Nuvola Player 3 can be also controlled from command line via nuvolaplayer3ctl. 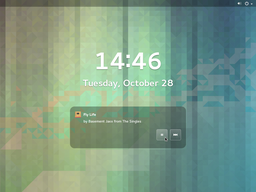 These featured are not dependent on a particular desktop environment. In Unity, click Gear Menu → Preferences, then switch to tab Components. 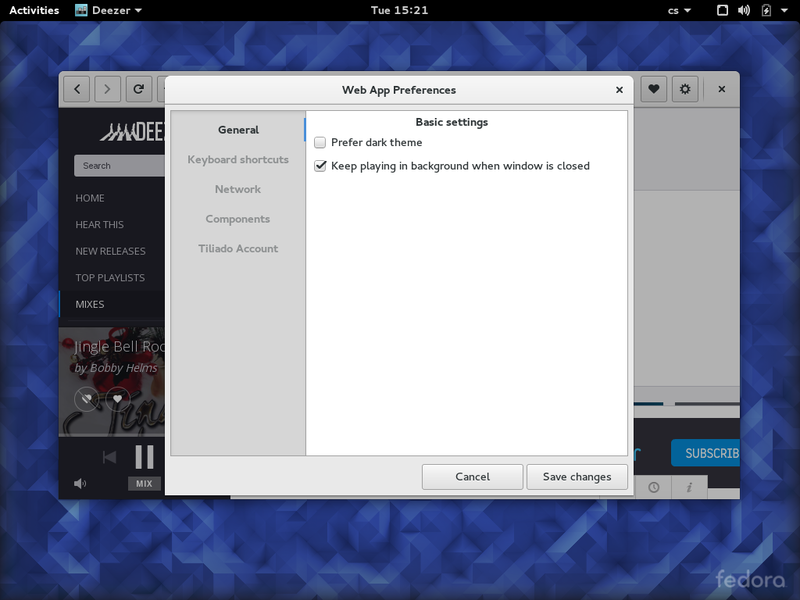 In GNOME, click App Menu → Preferences, then switch to tab Components. 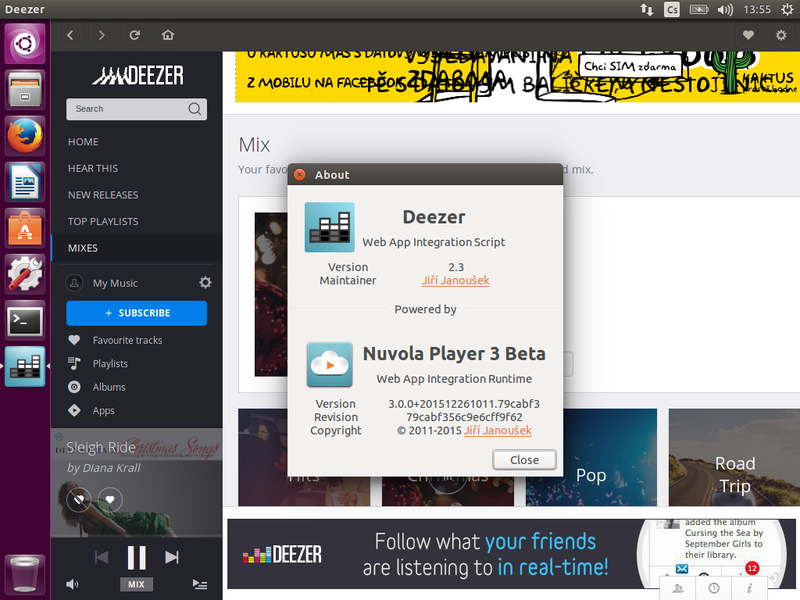 Nuvola Player allows you to scrobble your music taste to Last.fm audio scrobbler and music recommendation service. 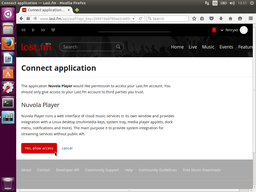 In Unity, click Gear Menu → Preferences, then switch to tab Components, enable Audio Scrobbler Services and finally connect your Last.fm account. In GNOME, click App Menu → Preferences, then switch to tab Components, enable Audio Scrobbler Services and finally connect your Last.fm account. Nuvola Player can fetch lyrics from AZLyrics. In Unity, click Gear Menu → Preferences, switch to tab Components, enable Lyrics. 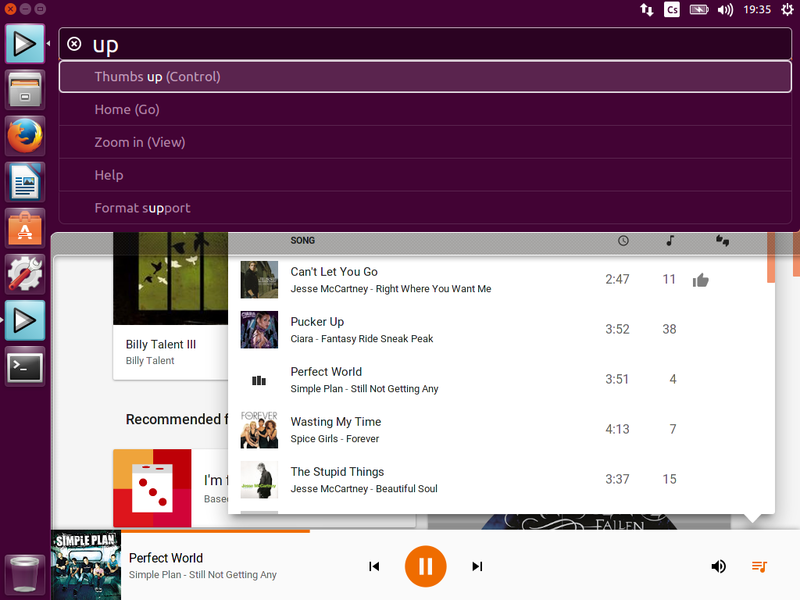 Then click Gear Menu → Show sidebar and select Lyrics if necessary. 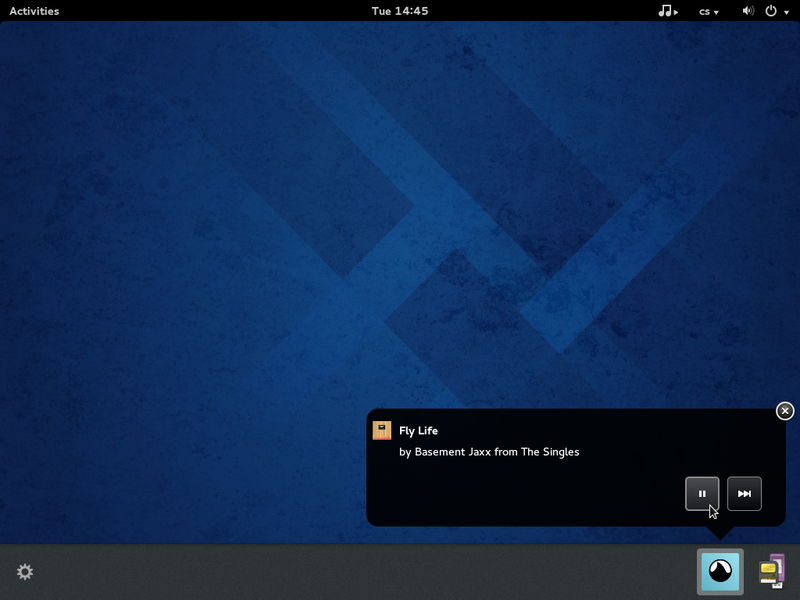 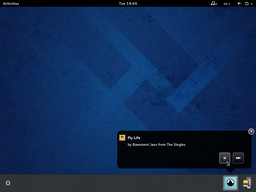 In GNOME, click App Menu → Preferences, switch to tab Components, enable Lyrics. 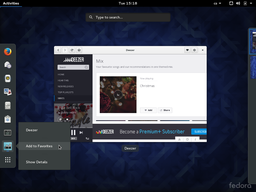 Then click Gear Menu → Show sidebar and select Lyrics if necessary. Each application can have its own network proxy settings. 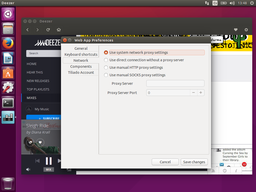 In Unity, click Gear Menu → Preferences and switch to tab Network. In GNOME, click App Menu → Preferences and switch to tab Network. 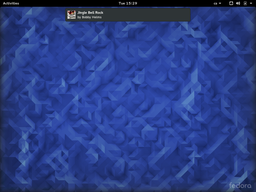 Some desktop environments (e.g. 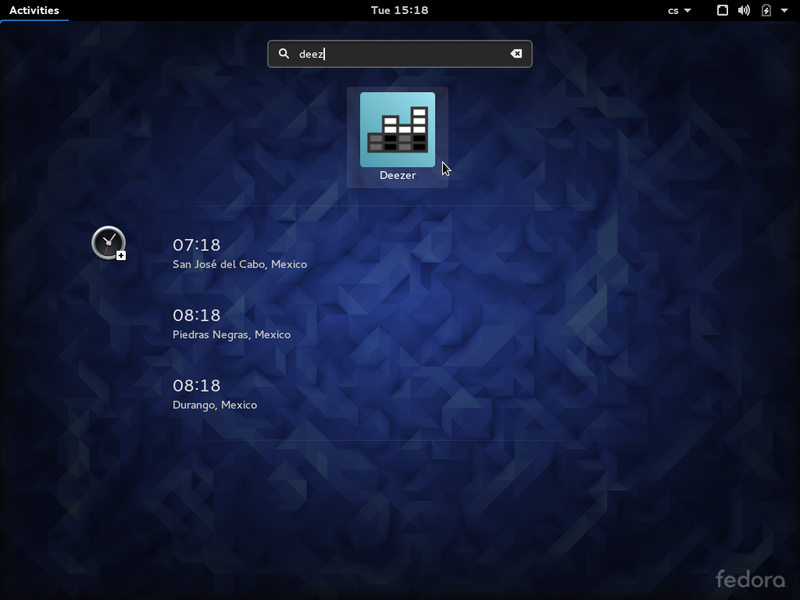 XFCE, LXDE, partially GNOME) still support old-style tray icons. In GNOME, click App Menu → Preferences, switch to tab Components and enable Tray Icon. In other environments, click Gear Menu → Preferences, switch to tab Components and enable Tray Icon. 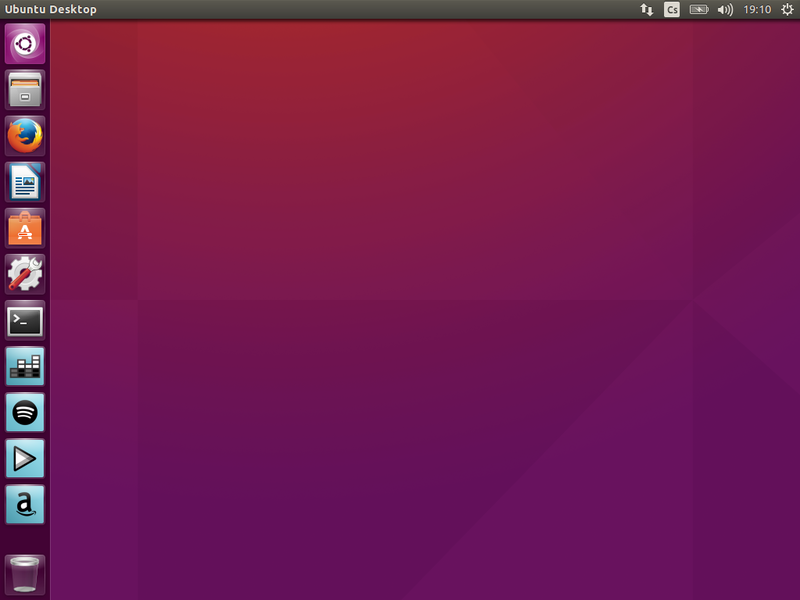 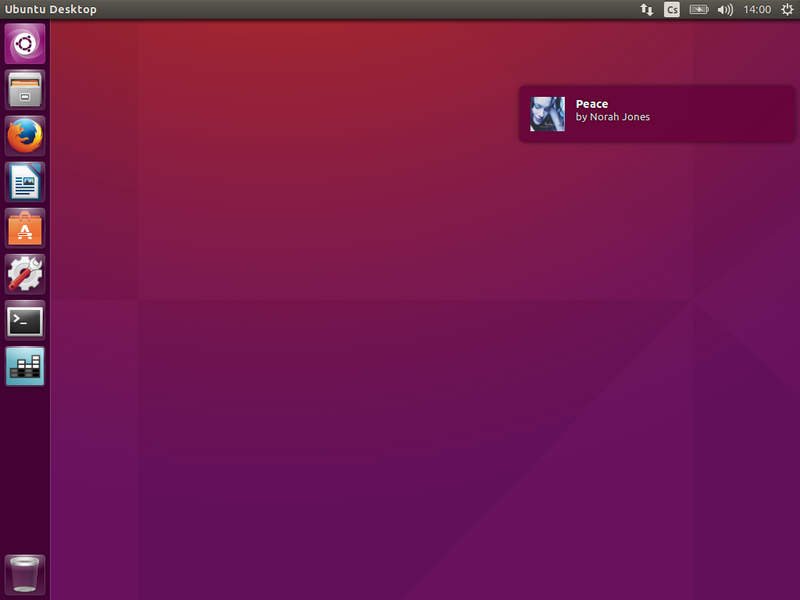 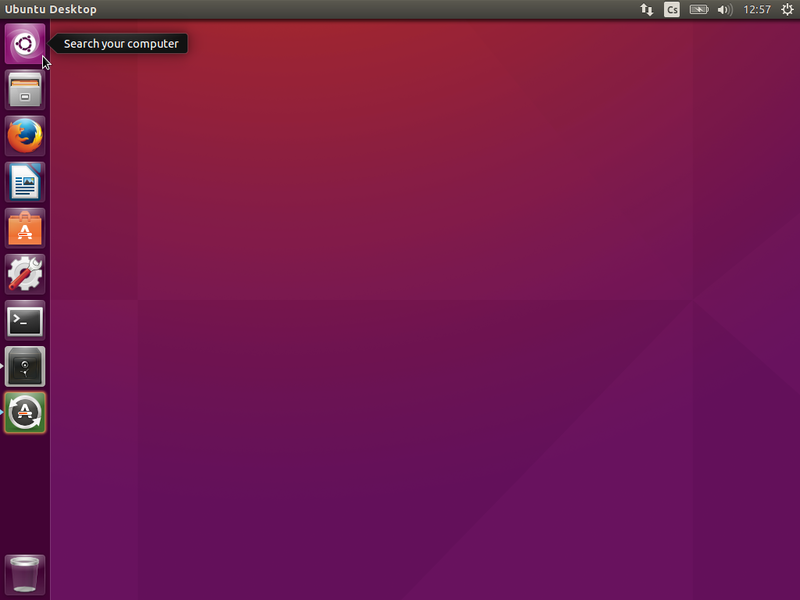 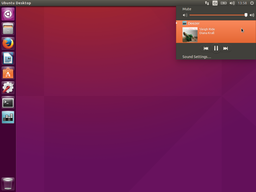 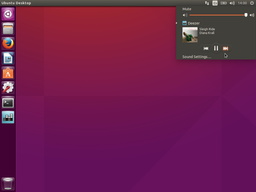 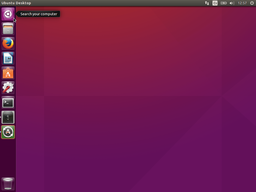 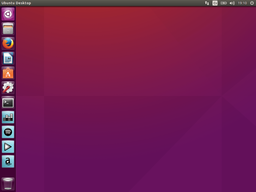 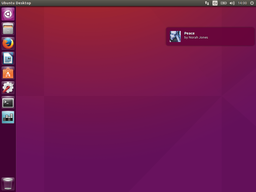 Note that old-style tray icons are not supported in Ubuntu's Unity.